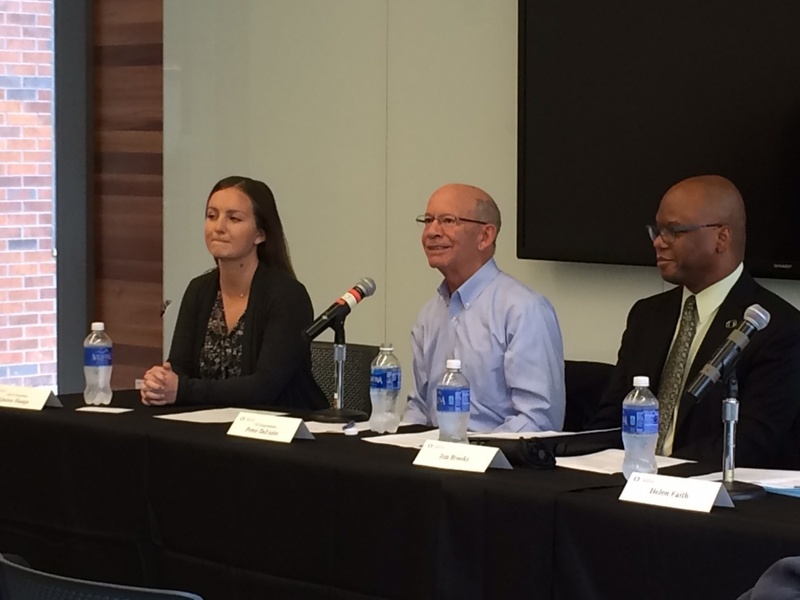 Fourth District U.S. Rep. Peter DeFazio visited the UO this week to meet with student and university leaders for a discussion on college affordability. During the roundtable meeting Monday, Oct. 24, DeFazio highlighted his new legislation, the HIGHER ED Act. DeFazio is the ranking Democrat on the House Transportation and Infrastructure Committee and a Duck, graduating from the UO with a master’s degree in 1977. UO student government President Quinn Haaga moderated the event. Along with other student leaders, the panel included Jim Brooks and Helen Faith, financial aid directors at the UO and Lane Community College, respectively. The HIGHER ED Act would make college and graduate school more affordable and ease student loan debt for recent graduates by reinstituting year-round Pell Grants and graduate student eligibility for subsidized loans. Additionally, the legislation would raise the minimum annual salary required for borrowers on income-driven repayment plans to start payment on their loans. Students attending the discussion asked a number of questions. Many focused on the need for more financial aid and year-round aid indexed to inflation. “I don’t want to bankrupt students,” DeFazio said. Oregon has been a leader in making college more affordable. In addition to federal student financial aid, low-income college students who are Oregon residents are eligible for the Oregon Opportunity Grant, the state’s largest state-funded, need-based grant program. Students who are interested in the Oregon Opportunity Grant should fill out the Free Application for Federal Student Aid as soon as possible or complete the Oregon Student Aid Application.